Larry Brodbeck a child of God since January 20, 1933 has returned to his Creator. 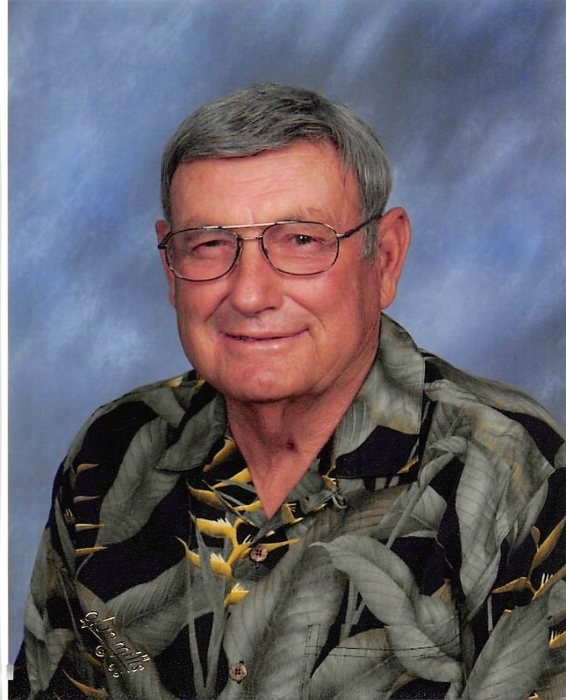 Larry Douglas Brodbeck passed away on Monday, February 11, 2019, at the age of 86. He was a devoted husband to his wife Marie Williams for 66 years. Together they raised 5 children Garry (Karen) Brodbeck, Denise (Larry) Spaulding, Kevin Brodbeck, Jill (Dennis) Pitz, and Tim (Tammy) Brodbeck. Larry will be dearly missed by his 10 grandchildren, Randy (Leslie) Brodbeck, Alan (Tara) Brodbeck, Blake (Valerie) Brodbeck, Kory (Liz) Brodbeck, Kyle Brodbeck, Kasey (Alec) Rice, Jamie (Tim) Krenz, Mallorie (Jesse) Schrock, Alexis (Matt) Haskins, and Owen Brodbeck, and 24 great-grandchildren. Larry was the youngest of 13 children born to Florence and Paul G. Brodbeck. He is survived by his sister Caroline Brecheisen, brother Paul (Carol Ann) Brodbeck, brother-in-law George Ellcey and Marie’s sister and brother-in-law Ann and Bill Cusack. He was preceded in death by his parents, ten siblings, and one great-grandchild, Hughe Haskins. Larry built a successful farming business starting with 80 acres. He incorporated many progressive agriculture practices developed by Michigan State University into the business. He was a devoted husband to Marie who was the love of his life and business partner. His children and grandchildren were deeply loved by him. Larry cherished his family and his life running the farm with Marie. He took great joy in overseeing the business and in later years did much of this from the driver’s seat of his pick-up truck. He loved to tell stories, laugh, and joke with his family and friends. We will miss his great smile, laugh, and love of life. Larry was a lifelong member of Zion Lutheran Church. His faith was his support in life, and he took it upon himself to impress this upon his children and grandchildren. He taught by example and involved his family members in these efforts such as delivering annual community Christmas baskets. He often worked alongside other church members to ensure that the Pastors received what they needed to lead Zion and keep it strong in the faith. He enjoyed using his business resources anonymously to help others in need. Visitation will be held at Zion Lutheran Church, 6261 Velte Road, Woodland MI on Friday, February 15, 2019 from 6 – 8 p.m. Funeral Services at Zion, officiated by Pastor Becky Ebb-Speese, will be held on Saturday, February 16, 2019 at 11 a.m. Burial will take place at Woodland Memorial Park Cemetery immediately following the funeral luncheon. In lieu of flowers, memorials can be given to Zion Lutheran Church, The Parkinson’s Foundation, or charity of choice. A special thanks goes out to Woodlawn Meadows Assisted Living Facility and Great Lakes Hospice who took such good care of Larry and helped provide support to the family.